THPRD is grateful for the generous volunteers who donate thousands of hours annually for the benefit of our programs and events. Thanks! THPRD volunteers make our community a better place to work and play! Already a THPRD volunteer? Contact us directly or log in to your VicNet account to sign up for new activities. If you are interested in volunteering for a short amount of time, check out any of our one-day opportunities at on the following sites. Event/One-day (14+) - This list includes upcoming special events scheduled at THPRD facilities or parks. Habitat, Trails & Gardening Projects (14+; 10+ with an adult) - Join our field staff to improve the natural areas, trails and demonstration/decorative gardens located throughout the district. Nature Education (14+) - If you have an interest in nature and gardening with native plants, sign up to volunteer at one of our upcoming nature education events. If you are interested in building some new skills or an ongoing service opportunity, you can check out available opportunities at the following sites. Ongoing Opportunities - This lengthy list covers all of the ongoing opportunities with a variety of facilities and departments throughout the district. 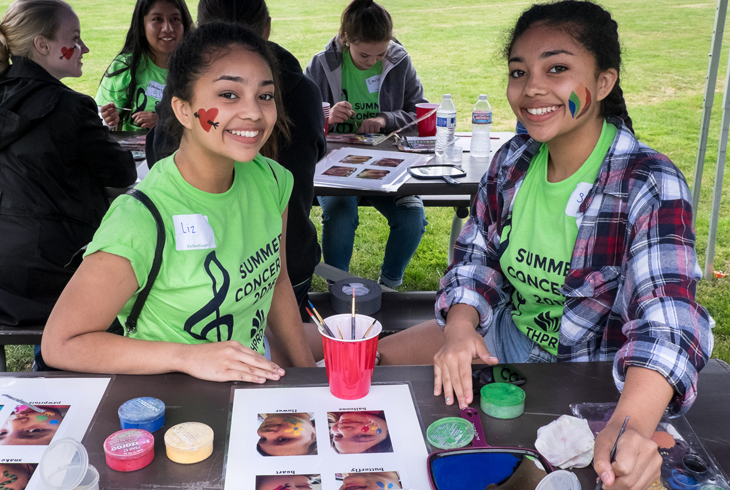 Summer Youth - Only the ongoing opportunities for summer youth are listed here. Training Programs - You will find service opportunities focused on nature education and wildlife surveys. Internships - These internships are geared towards early childhood development and nature education. Adopt-A-Park - The adoption program is a way for you to adopt a local park or natural area where you will get guidance from staff to help out with ongoing improvements at the site. Interested in volunteering with THPRD, but not sure what you want to do? Submit an Interest Form (English or Spanish) and a staff person will contact you about opportunities.